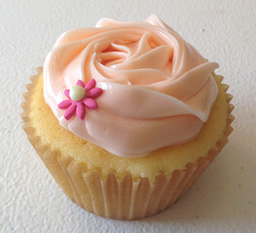 Bellas Cupcakes is an english style bakery founded in 2010 bringing the authentic taste of english baking to Tokyo. Bellas Cupcakes launched Tokyo's first ever cupcake truck in 2010 in Minami-Azabu and since have opened a new Bakery kitchen in Shirokane Takanawa, May 2013 now serving cupcakes from its kitchen to locations throughout Japan. Today Bellas Cupcakes serves customers an array of treats, layer cakes and birthday cakesall made in small batches using the same ingredients and techniques as you would expect from great home baking and all freshly baked in the mornings. 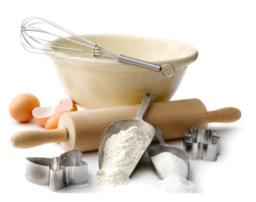 Bellas Cupcakes is all about making real authentic cupcakes from real authentic ingredients such as premium flour and European sugar with pure Madagascar bourbon vanilla. We also use natural colouring from fruit, vegetables and flowers throughout our buttercream and cake mixtures where ever possible however on some occasion we do use sugar craft colouring for customised decorative cupcakes. 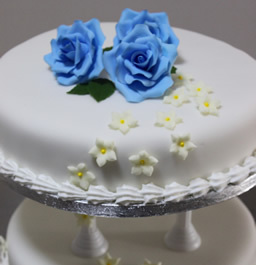 All of our baking and decorating staff are passionate decorators with great sugar craft skills which means they can create the perfect customised cupcake or cake for any occasion using traditional English modeling sugar craft techniques. Please enjoy the works of Bellas Cupcakes so far. We are a small team of dedicated individuals who are passionate about cupcakes which means baking in the early hours of the morning so that we can bring the most freshest of cupcakes to you. We welcome the opportunity to work with you in making your event memorable however big or small. H&M, Warner Bothers, La Cittadella, Omotesando Hills, Vulcanzie, Asahi TV, Cheverlot, DOW Jones, Intercall, Mc Cann, Michael page, Tullet and Prebon, Barclays Capital, Morgan Stanley, Folli Follie, Grosse, Dominoes, Coca Cola, Apple, Facebook, Swatch 30th Anniversary, Ecco 50th Anniversary, Pacro Kichijoji 30th Anniversary, South African Embassy, International School of the Sacred Heart, American School in Japan, Tokyo International School, British School in Tokyo, ...and many more.